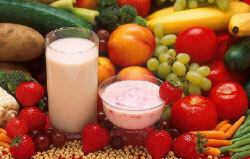 Farm Rich Gives Moms Easy and Wholesome After-School Snacking Tips for Busy Families! School is back in session and that means more scheduling and nutritional challenges for kids – and moms – on the go. Between soccer, ballet, homework, Scouts and the myriad of other responsibilities facing today’s kids, moms can use all the help available in making sure these busy children get to their activities on time and with enough energy to succeed. First lady Michelle Obama frequently acknowledges the pressures facing families today as part of her platform to bring awareness to children’s health, nutrition and fitness. "We are living in a time where we just don't have enough time. People are rushed. They're overworked, overscheduled...But the thing that I want people to understand in this campaign is that families can make small, manageable changes in their lives that can have pretty significant impacts," said Mrs. Obama during the “Let's Move” live web chat. So what’s a busy parent to do? Farm Rich talked to moms across the country recently to discover their real-life tips for working wholesome snacks into the chaotic schedules of school-age kids and their families. Sneak in Wholesome Snacks When They Least Expect It. “When my teens are having a study group or a sleepover, instead of letting them load up on sugary soda and potato chips, I try to sneak in a snack that’s more nutritionally sound and the brain food they need,” says Nicole Mills, an Atlanta mom of three. If teens balk at serving friends fresh veggies and dip, parents can try Farm Rich Cheese Sticks or Mozzarella Bites made with real mozzarella cheese. Real mozzarella cheese is a good source of calcium and protein, but they don’t have to know that! Make Healthy Snacking Convenient. Kim Griffin, a business owner with two teenagers, says because her children are at the age where they can prepare snacks for themselves, “I stock the freezer with things that are easy to heat and eat. They like being able to reach into the freezer to grab a snack they can heat in the microwave and be ready to eat in just minutes.” With frozen appetizers like Farm Rich Mini Bacon Cheeseburgers or Mini Philly Cheese Steaks, they can have a filling and better-for-you snack in just minutes. Or, suggests Griffin, put some Farm Rich Meatballs in the Crock-Pot, let simmer all day and bowl the kids over with the aroma when they walk in the door from school. In light of last year’s snacking study out of the University of North Carolina at Chapel Hill, tips like these are important for helping give kids snack choices that are better for them, despite the chaos of an active lifestyle. According to the UNC study, kids are snacking more than ever before – in fact, nearly 98 percent of children 2-18 snack between meals. "Kids still eat three meals a day, but they're also loading up on high-calorie junk food that contains little or no nutritional value," said study leader Barry Popkin, Ph.D. He also noted that salty, fatty snacks, such as chips and crackers, accounted for the largest increase in the types of snacks children were eating during the three-decade period reviewed in the study. 2 Responses to Farm Rich Gives Moms Easy and Wholesome After-School Snacking Tips for Busy Families! It really is so crucial to have healthy food on hand and to plan out shopping…I’m more likely to eat healthy if I have healthy options, as are my kids. I need to be better about offering healthy choices first before junk food all throughout the day. You and me both! Having healthier snacking options on hand is kind of like my new school year’s resolution! :) Have a great day Judy and thanks so much for stopping by today! 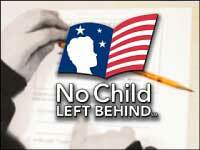 Get Involved in Local Education So That You Can Guarantee There’s “No Child Left Behind”!